You don’t think you know what I’m talking about? I’m going to go out on a limb and say there is a 99.99% chance you do. And if you are that .01%, my sincere apologies, I owe you a coffee. We’ll enjoy it over some marketing talk. Google My Business is actually what you see when you type in a Google search, say a business name or type of business, and you’ll see something, similar to this image below, pop up on the right side of a desktop search result or at the top of a mobile search. Looks familiar, doesn’t it? It should. You’ve probably used it numerous times without even knowing what it was. Google My Business is a free tool for listing your business, company, or organization on Google and managing that presence. Since it is powered by Google, your listing is then included in searches, maps and more Google tools. All without having to do extra SEO work on your website. Any business, company or organization can have a listing. And for many of the businesses like our clients, you may have multiple locations, facilities or sites. Those can all be included too! You’ll be able to make sure people can find you accurately and contact you easily. Now for the big question: Have you claimed your business’ Google My Business? If the answer is anything but yes, then you probably haven’t. You would know. Let’s fix that. After all, why wouldn’t you want to be using a FREE marketing tool from Google of all places! It’s not a terribly hard process to complete, and here is where I would suggest starting. Why Verify With Google My Business? First, if it’s something Google owns, that should be of importance enough. But since that may not be a well enough reason for some, let’s break down a few other key points for a business similar to our clients at CornerPost. If someone is going to search for you, don’t you want to be the one in control of what they see and click. Absolutely! By verifying or claiming your business with Google My Business, you are able to make sure the information depicted is accurate, consistent, and gives the overall impression of your business that YOU want. Google My Business page allows you to input information such as website, street address, phone number, business hours, category of business, as well as add your own photos of the business. What a great way to give a visual of your company and brand! How important is that information to include? Consider wanting to run to a local clothing store to purchase something. You type the store name into Google. You want to know what their hours are and Google has suggested hours listed. Imagine the disgust when you show up and they aren’t actually open. It’s not Google’s fault, they tried their best. They tried to help the business, but now the customer is irritated and feels like they wasted their time. We know that isn’t the feeling any business wants with their customers. You need to be in control of that information. I continue to emphasize with our clients two major changes in how we use the internet today. First, we Google everything, and secondly, we use our phones as our main tool. If we bring those two together, our cell phones have become our phone directories and maps to direct us to the businesses we want to use. No more alphabetical order as in the Yellow Book days; it is about being the first one in front of your customers and making it easy for them to find you with the quick ask of Google or Siri. If you make it easy for customers to find you, either by phone, website or physical address, there is a greater chance you will see an action from that customer. We’ve talked for years about the customer experience IN the businesses, now it has turned to the user experience on the web, and now most recently includes also finding you online. Simply put, making it easy for customers to access you means the greater potential for more interaction with them = more business = $. 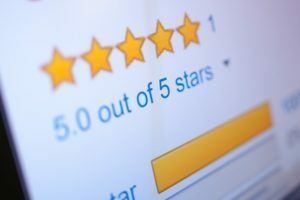 How many times have you noticed or read the reviews of a business that pops up on Google? We are so used to seeing reviews on everything anymore, sometimes we don’t even realize our minds are taking those reviews into consideration for doing business or making a purchase. Guess who else is watching those reviews? You got it- Google. We want to make sure any of those reviews about your business are accurately for YOUR business and that you are keeping an eye on them. They are also super helpful for increasing your result ranking in a competitive business area. Let’s come back to my point about it being a Google tool and the importance of that fact. We have so many people asking us how to get better rankings or how to be found better with Google. While we definitely should talk about those ways, why not work with Google to help you out. Since Google My Business is a part of the search engines results, they are going to put those pages first. And selfishly, and completely defendable, Google wants to keep people on their pages, so Google My Business will do just that, it gives results without the searcher having to click away from Google’s results page. And before you start worrying about whether this means more people will not click on your website, let’s remember something. Why did you create a website in the first place? To be a gateway to increasing your customers, right? Well, then why would we not want to do anything in our power to still do that. Google My Business will only do good things to spur that same action, and in fact, jump a few of the sales funnels steps and get them to you faster. And that great website of yours is still very important. If a searcher sees your Google My Business with a website, it gives you greater legitimacy, and they may still be apt to click on in. Either way, you are encouraging traffic and that’s what we do in this fun place we call the world wide web. Google makes it pretty painless to add a Google My Business, but if you don’t want to add another to-do to your list, we can make sure we take care of facilitating it for you. That way, photos, information and contact information is consistent and accurate. And if you’ve got multiple locations, you’ll want each one of those listed and consistent in their information as well. If that sounds tedious to you, we get it. Ask us to help! This may seem like a minor thing to do, but the benefits of such a small project to keep up with the Jones’s of the internet can mean great rewards, especially when it adds to the pleasurable experience with customers or potential customers. We can also stay on top of insights for you to see how customers were searching for your business and where they are coming from. We can even monitor your reviews for you and create a conversation with customers to drive further business. One last tip! If you are in a competitive area, you may be competing against other similar businesses for that top Google My Business spot. If you’ve completed all the requested information possible, the next best thing to do is curate some action in the form of reviews. We all know the best avenue for new business is through current business, so ask customers and clients to leave a review on your Google My Business page.